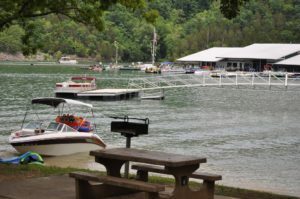 Obey River Campground and Park is a spacious and popular campground located on the shores of Dale Hollow Lake directly adjacent to Sunset Marina. We realize many visitors enjoy picnics, camping, swimming and other outdoor experiences while visiting the lake. 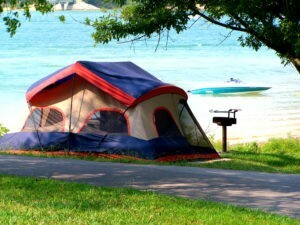 The campground provides the largest camping area at the lake, as well as the largest and most visited swimming beach. Obey River Campground features 134 campsites and two large group picnic shelters. Electric hookups, drinking water, flush toilets and a dum p station all create a comfortable camping experience. A swimming beach, basketball court and playgrounds provide additional recreational opportunities. To download a map and more details click HERE. 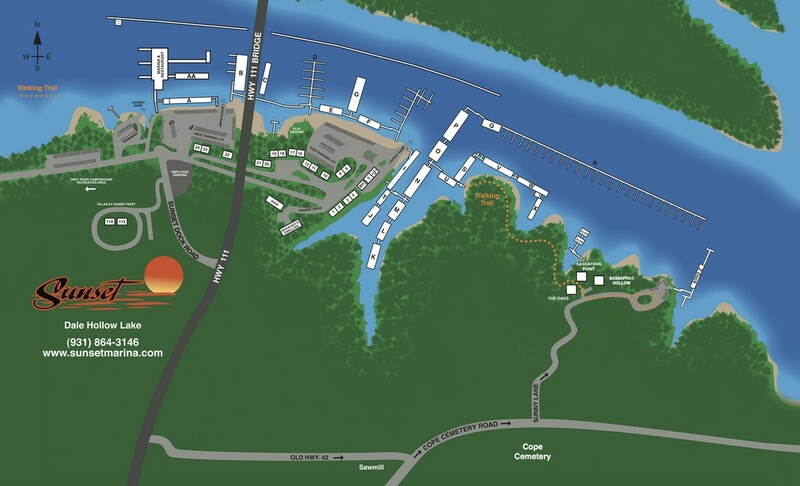 While visiting Obey River Campground and Park, Sunset Marina invites you to visit our Marina Store, eat at our Restaurant, come over for an ice cream cone, rent watercraft or other lake recreation items or use our dockage rental. We’d love to show you our houseboats or give you a tour of our cabins and chalets to help you plan for a future visit to Dale Hollow Lake.